2017.6.25 MVE CryoShipper2000 added to the product line-up. 2015.5.31 Automation SeriesTM added to the product line-up. 2014.1.13 MVE HEco series added to the product line-up. 2012.7.3 MVE Variō Series Product Guide(PDF) has been uploaded. 2012.6.5 Product Selector Guide has been updated. Recommended maximum temperature for storage of biological samples. 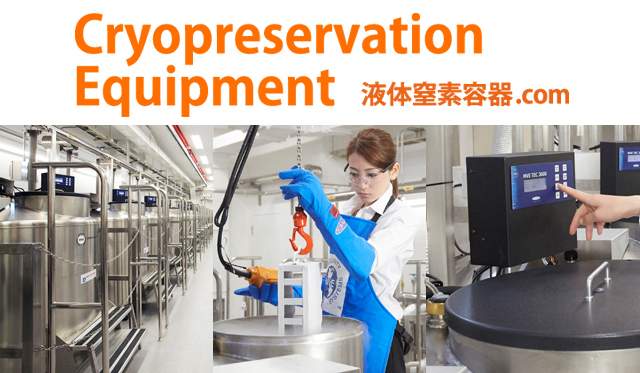 Information on Cryopreservation Equipment rental and maintenance.